No one is coming to the rescue to solve California’s housing crisis. So let’s do it ourselves. The first signs appeared years ago, in our own neighborhoods, when we noticed just how many grown kids and grandkids were still living in their parents’ spare bedrooms. Why couldn’t these 25-year-olds get a place of their own? Were there really no available apartments? Wait, they cost how much?! Then, it dawned on us. Look around, and you see it everywhere. In every town in California, there are too many moms and their kids struggling to find a safe place to sleep at night. There are too many older homeowners trapped in oversized houses, priced out of their own neighborhoods, and unable to move—or have their children—anywhere close by. There are too many blue-collar workers leaving the state because of rising rents and four-hour commutes that are bad for the backs, bad for the air we breathe, and bad for their families. And there are too many workers at every income level—from young doctors to teachers and scientists and entrepreneurs—who scoff at the idea of moving here because it costs too much. There are too many of us who have been wringing our hands about this for too long. It’s time. We all know what to do. We need to build more houses. Hundreds of thousands more houses of every shape and size—and at every price. And we need to start now. More than a dozen housing bills were signed into law last year, but the governor and Legislature missed the opportunity to respond to this crisis on the scale required. A few days ago, the state housing department released a report finding homeownership in California has fallen to its lowest point since the 1940s. Nearly a third of renters—over four million people—are spending more than half of their paychecks on rent. A recent McKinsey study estimated that $140 billion in economic activity is being swallowed up each year by high housing costs. As prices continue to rise, California is now home to 22 percent of the nation’s homeless population. It doesn’t matter who won the national election or who controls Congress. This is our problem, the product of decades of saying “no” to housing, piling up rules and regulations and fees that allow construction of only more and more expensive and heavily subsidized homes. And it is up to Californians to solve it—to build more houses close to jobs, bus stops, and rail stations, to build them smaller and more quickly, and to make sure the next generation of Californians has the opportunity we had: to buy a home, build wealth over time, and move up in the world. Over the last year, California Forward and our partners in the California Economic Summit have been working to do just that, bringing together some of the most powerful housing stakeholders in the state—builders and nonprofits, equity groups and environmentalists, local government officials and state agencies—to develop a solution that could actually solve the problem. 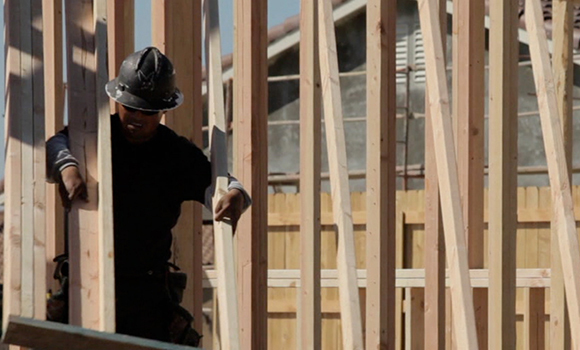 The Summit set an audacious goal: building one million more homes over the next decade. (Don’t get discouraged, we’ve done it before.) Together, the group developed a comprehensive plan to increase production, make the right public investments to support the most vulnerable Californians, and ensure regulations don’t add so much time and uncertainty to new housing projects that developers build something else, instead. This “all of the above” strategy (see the California Economic Summit 2016 Playbook, pages 10-11) has been reviewed by experts, reworked and refined and haggled over. It is a pragmatic package of state policy changes that would make more good projects pencil out. It is a lens for viewing this year’s legislative proposals to gauge what’s moving, what’s not, and whether these ideas will meet the scale of the problem. And, if matched with leadership from local governments, it is one of the few legitimate plans out there that would actually result in more housing. Now is the time for all of us to do our part to move these ideas forward.